ISLAMABAD (UrduPoint / Pakistan Point News - 29th August, 2018) In yet another landmark development, Telenor Pakistan has powered Gwadar city, historically an old fishing village that is now poised to become one of the world’s most thriving seaports, with its best-in-class 4g services. Due to the unavailability of long-haul fiber optic to carry traffic in the region, TelenorPakistan has usedstate-of-the-art satellite solution to deliver 4G services to Gwadar. 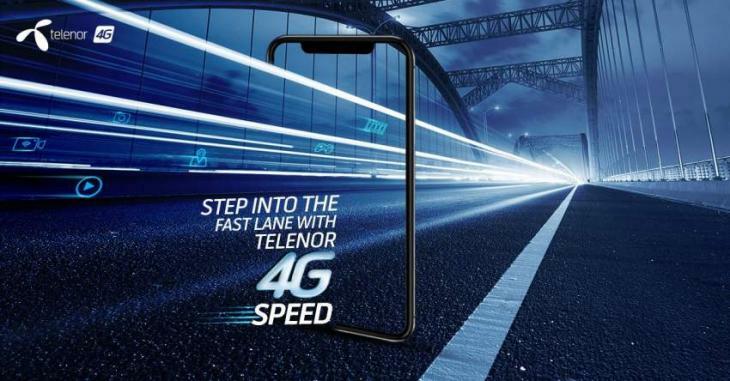 Subsequently, Telenor Pakistan users can now enjoy high speed data services at par with key metropolises like Karachi, Lahore, and Islamabad. With thousands of Pakistani and foreign professionals working day and night on diversified development projects, TelenorPakistan’s 4G services will not only help in their professional communications but will also keep them connected to their loved ones back home. At the same time, Telenor has upgraded allGwadar sites to 3g as well, so that more people can access high speed internet even with their existing smartphones. “Upgrading Gwadar city from 2G directly to 3G/4G was an interesting challenge,” said Bilal Kazmi, Chief Marketing Officer, Telenor Pakistan.